Yesterday, I woke to news that broke my heart. Allegations surfaced against a man I’ve championed, cheered and commended to others…allegations of infidelity. I sat in stunned silence, wondering how I could so wrongly judge a man’s character. As of now, the charges are only hearsay, and he insists these accusations are nothing more than political smears, but time will tell. If the claims hold true, I’ll be so disappointed and deeply hurt that this man let me down. A man I’ve never met, but thought I knew anyway. Ted Cruz. Later in the day, when I found out the source of the story, I cheered a bit. The National Enquirer broke the news. This is the same tabloid responsible for articles like “Boy Reads with His Ears,” and “Bigfoot Imprisons Lumberjack as Love Slave.” The magazine’s propensity for the bizarre and unsubstantiated does little to qualify the publication as a reputable source. Now, some with sources at the Enquirer say the story is a complete fabrication, concocted by the Rubio camp, but readily printed by the owner of the paper, David Pecker. Pecker and Trump pal around on occasion. So, maybe the story’s false and I can continue to support the only Constitutional Conservative remaining in the race. The disappointment and disillusionment I suffered yesterday reminded me of another time in history when faithful supporters of a Man were devastated when they thought they had misjudged their leader. For almost 3 years, the Disciples followed Jesus, witnessing miracles and hearing authoritative teaching. The majority believed this Man was truly the Messiah and would conquer the Roman government, establishing His Kingdom upon the earth. But these hopes came crashing down when the authorities arrested Jesus and sentenced Him to death. Most of the Disciples scattered when the religious leaders and soldiers dragged Jesus off to Pilate. I’m certain men like Peter, James, and John wondered why Jesus, the man able to walk on water and raise the dead, submitted to this arrest. Why didn’t He resist? Why didn’t He call upon His Father in heaven? Had they wasted three years of their lives following an impostor? After the crucifixion the closest followers of Jesus slunk away into the shadows, fearing for their own lives. Had His ministry been a sham? Was He a complete fraud able to deceive multitudes of people with His showmanship and captivating speech? Were the religious leaders correct in accusing Jesus of being possessed by demons? I picture the Disciples sitting in a dark room, debating the possibilities. All battling disappointment and discouragement, devastated by great loss. Blinded by crushing pain, the disciples failed to remember the teachings of Jesus about His sacrificial death and imminent resurrection. The loss unspeakable; they hide to save their own necks. None spoke of the future for a life running from the authorities depressed even the heartiest of souls. A few years ago, prior to our 5th born’s birth, my wife and I searched Craigslist for a new stroller. My wife researched the options and was interested in purchasing one classified as a “Pram Style.” Brand new, these items ran in the hundreds of dollars…heck, I could of saved money by jamming handles into the back end of a Yugo. However, a pre-owned Pram was a different story. 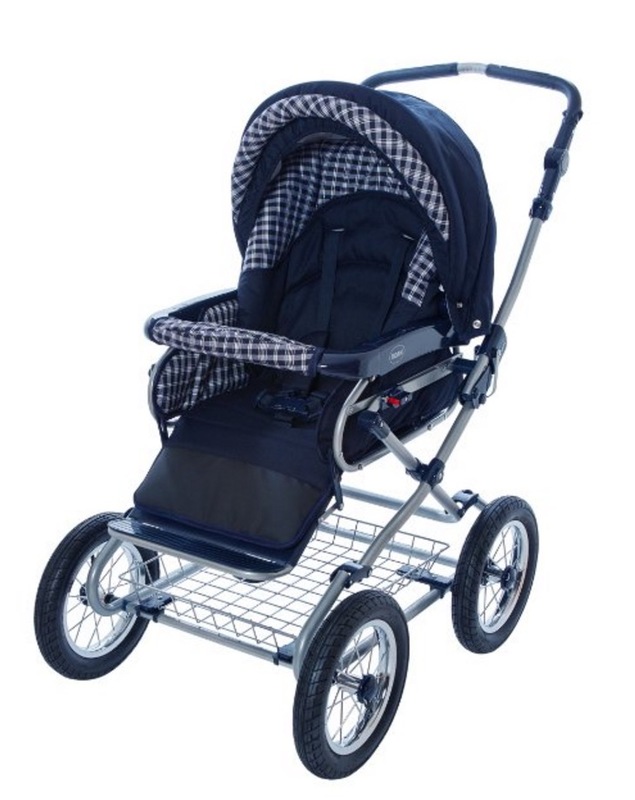 Delaina found a stroller online and negotiated a price less than one hundred dollars…Yes! Only three trips to sell plasma! Delaina dialed the number, talked to the woman of the home, and set a time for the stroller to be delivered. The woman’s husband drove up to our house one evening; I met him down at the street. In the fading daylight, he popped the trunk, pulled out the stroller, and launched into his sales pitch…actually more of a live infomercial. He noted the checkbook in my hand. One lever reclined the seat. A button transformed the stroller from front to rear facing. Foot brakes…Rubber white-walled tires with a suggested air pressure…Keep your hand off the red switch or the baby ejects…So much to remember. But in the stroller world, this was a Cadillac. I pushed it up our steep driveway and rolled the royal blue wonder into the family room, feeling like an employee on Pawn Stars. I bought it at a great price and could one day turn a profit. The evening I purchased the stroller, my wife missed the demo to care for our fourth born who was battling the stomach bug. In fact, when I noted the stranger pulling up to the front of our house, I rushed outside before Delaina could volunteer to hear the pitch. I don’t handle vomiting well. In fact, if I’m in the same zip code of a person hurling, I experience sympathy vomiting. In hindsight, Delaina should have given the stroller the old once over. The first problem arose when my wife tried stowing the stroller into the back of the SUV. No matter how hard she pushed, the rear hatch refused to close. So, on a day scheduled for a home school field trip, a friend chauffeured our newly purchased “blessing” into a neighboring city. The stroller weighed almost as much as a Chevy Volt, and on multiple attempts, my wife couldn’t heave it into our friend’s mini-van. So, our friend, Ms. Rachel, strong armed the stroller into her ride and off they caravanned to the zoo. And the nightmare continued. At the zoo, my wife learned that the stroller rolled like a dream on straight stretches. Sadly, the wheels didn’t swivel, and tight corners turned into mommy nightmares. After wrestling with the stroller all morning, she called and informed me we needed a new baby carriage. No problem, I thought. This was going to be a money maker. Sure we are, it’s the gift that keeps on giving. Yes, I can hear the man now…Sucker. I walked out of the store, grumbling, washing my hands of the whole thing. I said to the kids. But no, I was wrong. The stroller kept giving like the joy shared after an all-you-can-eat chili cook off. I received a message from EBay. A case had been opened against me through the auction site. The stroller never made its destination. Without talking to UPS, I assumed it was because a driver slipped a disk tossing it into his truck. When the store opened, I called and explained my plight. According to their records and tracking number, it had been delivered, dropped at his door. Great. I guessed some gang member snatched the box from the porch, hoping to sell the item to make money for drugs. The joke was on him. No one was going to buy. Poor sap probably got stuck pushing his homeboys around the hood. That’s not how it works. Satan never plays fair and when he sees our defenses drop, he strikes again. In fact, if you’re living for Christ, Satan oftentimes sets traps at the most unexpected times, and the skirmishes are never convenient. As Believers, we must always be ready for the schemes of the Prince of this world. Back to the stroller. Where is it? Who knows. It ended up being UPS’ problem. Since then, I’ve decided to limit my sales on EBay to ugly sweaters. Come to think of it, some might consider these from a nether region as well. Our world’s infatuated with superheroes. Once an imaginary outlet reserved for kids, superheroes are now embraced by adults willing to shell out millions of dollars to watch Iron Man and Captain America save the planet. 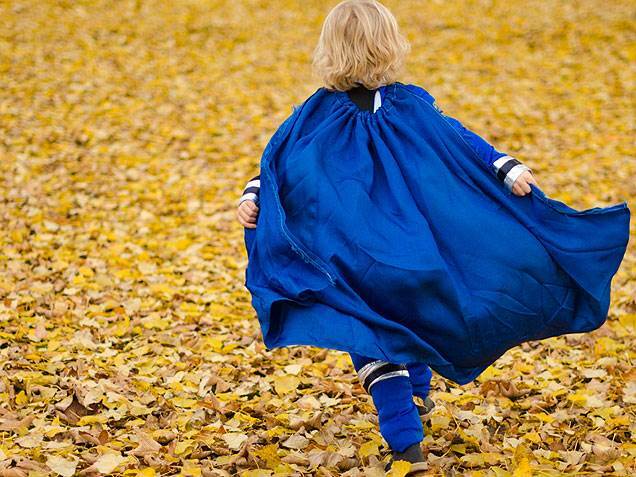 As a little boy, I often donned a bath towel, pretending my “cape” enabled me to fly from one crisis to another. I whisked here and there, scanning my surrounding for nefarious villains. Thankfully my fear of heights dissuaded me from jumping from a corner of the roof to test my flying prowess. In my eyes, superheroes served one primary purpose, saving innocent lives. Before posting this entry, I read several blogs focusing on our infatuation with superheroes. Every blogger without exception wrote we love guardians of the universe because they give hope. Hope that one person can make a difference. Hope to believe we can face every difficult task, undaunted. Hope that good triumphs over evil. In real life, we ascribe the tag “superhero” to our parents, military, first responders, or any other people consistent in making a difference in peoples’ lives. This past week Obama added another demographic to the superheroes list, abortion providers. If superheroes spark hope in the hearts of humans, abortionists certainly serve as the agents to dash hope. Those destroying futures spawn visions of the archenemies not cape wearing and shield wielding protectors of society. If Cecile Richards solely focused on the health of women, then certainly she deserves high praise and recognition. However, Richards serves as the President of the nation’s largest abortion business. Over 300,000 babies are slaughtered in Planned Parenthood facilities every year. How do the actions of abortionists instill hope? How does the action of tossing babies into large trash receptacles earn the badge of heroism? Pro-life advocates are the heroes. People who operate crisis pregnancy centers offering an alternative to abortion are the heroes. Women who choose life and birth the baby are the heroes. Women who choose life, and although not quite ready to be a mother, give up their babies for adoption, those are the heroes. All of the above mirror the actions of superheroes, fighting to protect life and giving the “least of these” a fighting chance at a bright future. That’s hope. What abortionists offer? Not so much. Imagine for a moment strolling down the streets of Madrid, admiring the sights and sounds of Spain’s Capitol city. Outside the Plaza de Torres, you hear the shrieks and cheers of the spectators as a matador playfully teases a charging bull. You note street vendors hawking their wares under another typical cloudless sky. And then you see him, the master. Pablo Picasso is standing outside his studio, a paintbrush and pallet in hand. Hunched with age, he stares with determination, surveying the blank canvas. You watch with great interest as the artist dabs his pallet and swipes his brush across the canvass in shades of blue and blue green. Minutes pass. Maybe hours. Then unprovoked, you push the artisan from his easel and grab the partially completed masterpiece. Finding a dumpster, you toss the painting in the trash receptacle, proudly rubbing your hands together in victory. Pablo demands to know your motives. You turn a deaf ear, only commenting it wasn’t really a painting because it wasn’t completed. Can you imagine the audacity, the gall, the absolute lunacy of such a deed? I mean we’re talking Pablo Picasso, one of the most renowned painters of all time. Even a partial painting buried under another completed work fetches stunning amounts of money at auction. No, to trash a Picasso at any stage of the process would be absolutely foolish and tragic on many levels. So, what about God and babies? when I was made in the secret place, when I was woven together in the depths of the earth. 16 Your eyes saw my unformed body; all the days ordained for me were written in your book before one of them came to be. Note the artistic language in the passage. God knits us together. We are woven in the depths of the earth. Both phrases teach of God’s intricate design as He plants a person in the womb of an expectant mother. According to the Scriptures, we are God’s masterpieces. If that’s so, why is the womb a dangerous place? How much more then should the creative genius of God be honored, respected, treasured and preserved? Liberals rally around the eggs of eagles and the endangered Delta Smelt in California. Why not babies? Classifying babies in the womb as “fetuses” serves to fool people into believing the fledgling developing is something other than human. The word “fetus” means “unborn offspring of a human.” And what is the unborn offspring called? Let’s not trash the life of the unborn, and let’s not support a candidate with a staunchly held position that abortion should be allowed at any stage of the pregnancy. Our politicians are quick to point fingers at ISIS and categorize them as barbarians. Yet, our culture rips a baby from the womb and toasts the right to do so. Can you imagine one million Picassos treated as common trash, tossed into a bin awaiting a furnace? Certainly not. Then why do we treat God’s masterpieces with triviality and inconsequence? Each step of the developmental process highlights the creativity of God, the finished project birthed in nine months. To believe otherwise showcases humanities’ desire to evict God from His own art studio. Again, ridiculous. God will not be mocked. At some point, His righteous Hand of judgment will no longer be stayed. Jonah obviously forgets his role in the story. Jonah ran from God. God chose to get his attention. Jonah asked to be thrown into the sea. Blaming God for becoming fish food serves to exempt Jonah from responsibility. In several conversations of late, many people ask why Donald Trump and Hillary Clinton stand atop the race for the White House. Those opposing Trump cite his conceit, vulgarity, and boyish bully-ness. On the other side of the aisle, Clinton turns the stomach of many because of her propensity to lie and her role in an Ambassador’s death in Benghazi….not to mention she’s under FBI investigation concerning her handling (or mishandling) of classified and top secret emails. Why do voters choose people like that? I’m asked. It’s simple. We asked for it. God allowed the Children of Israel to have a king, not because their choice was in His perfect will, but because of His practice of allowing people to exercise free will. The current frontrunners in both parties aren’t the problem; they reflect the result of a society stomping on the accelerator, running the opposite direction of God. Trump claims repentance isn’t necessary in his life, and Hillary had the audacity to say she’s never lied to the American people. But why does this behavior shock us? In 2012, the Democratic Party booed God at their national convention, and sadly, the Republican Party may not be that far behind. For whatever reason, we’ve lost sight of the importance of character, values, and morality, pillars modeled by our Founders as they crafted the Constitution and cited the Hand of Providence as their guide. Our moral compass has broken and we’re shaking the magic eight ball to get directions. We’ve lost sight of what’s true and right and pure and noble…. As a Country, we’re getting what we asked for. Why don’t we care otherwise? Maybe it’s because we’re too busy Keeping up with the Kardashians.